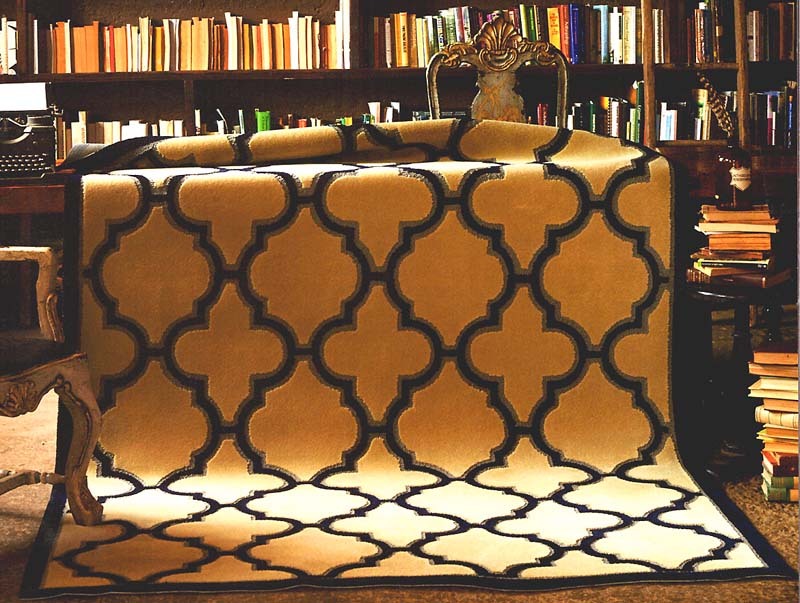 DELOS WOOL RUGS is an American Rug manufacturer of Made to Order and Custom Rugs. 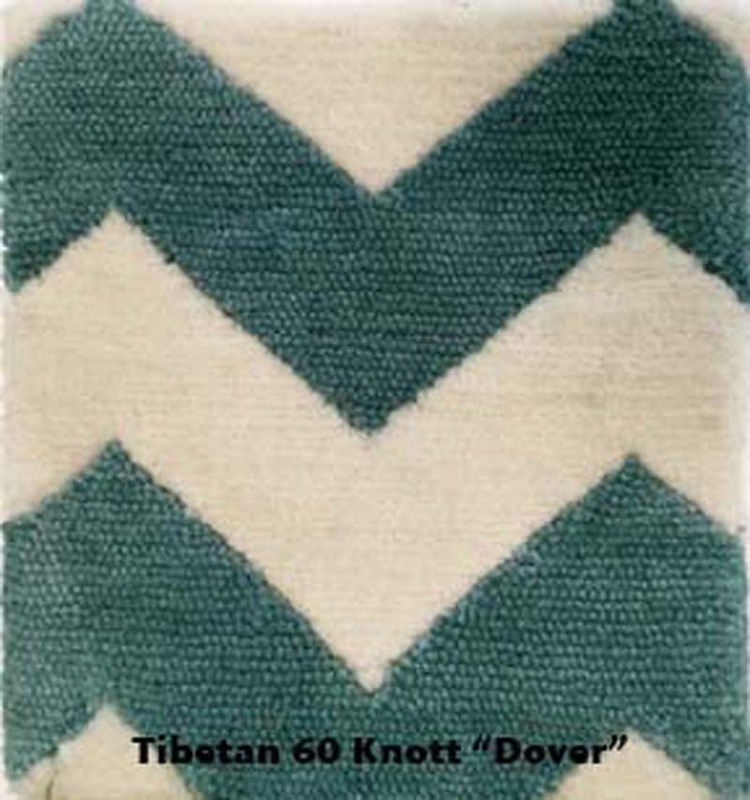 Choose from over 400 Made to Order designs on the Delos Rugs web site, or give us your design specifications for a custom rug. Make your own rendering to print from our web site, or Delos will make a digital rendering at no charge. 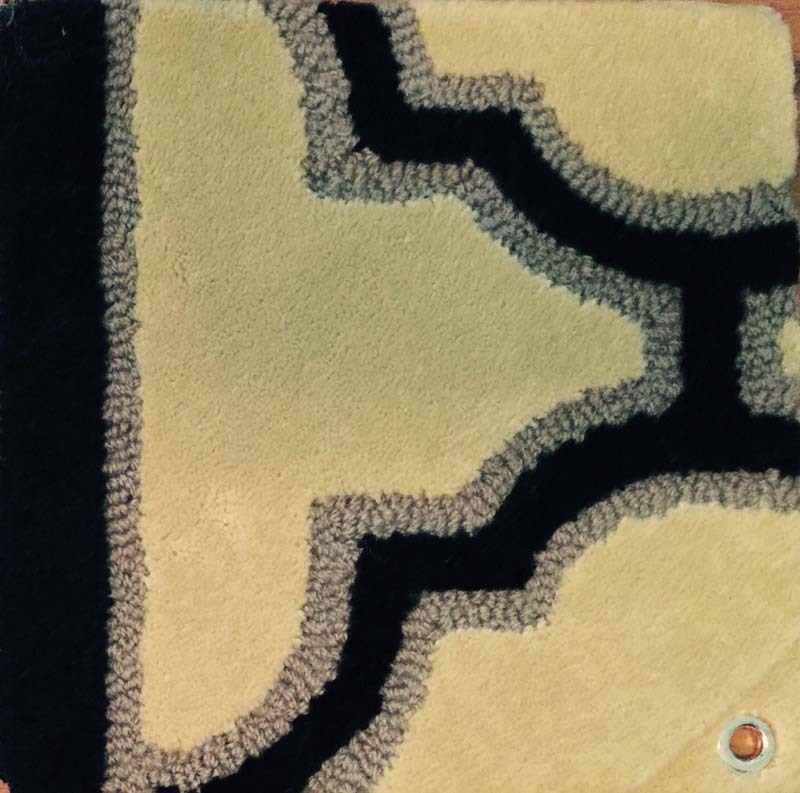 For Wool Rugs: Choose from the Delos 216 Color Pom board for American made wool rugs, and our Journey Made Wool rugs. 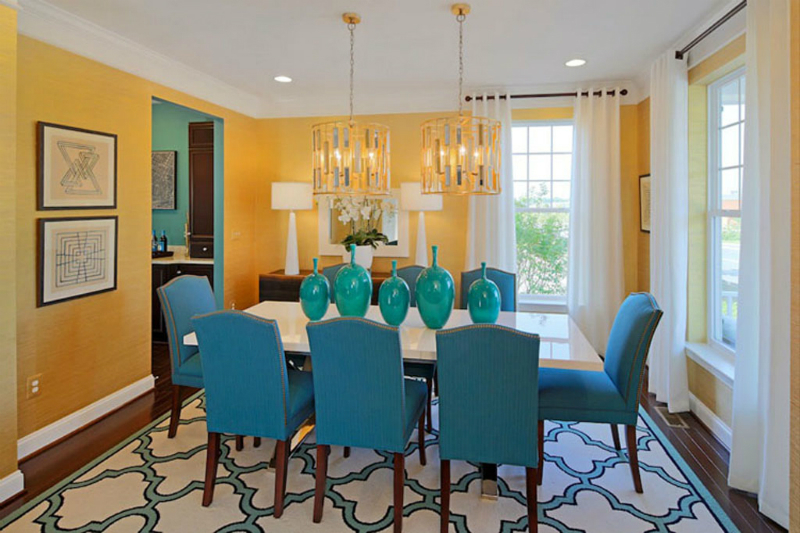 AMERICAN TUFTED: Choose your pattern, color and texture. These are 100% New Zealand Wool which are delivered within 6 weeks or less in any shape, or size. 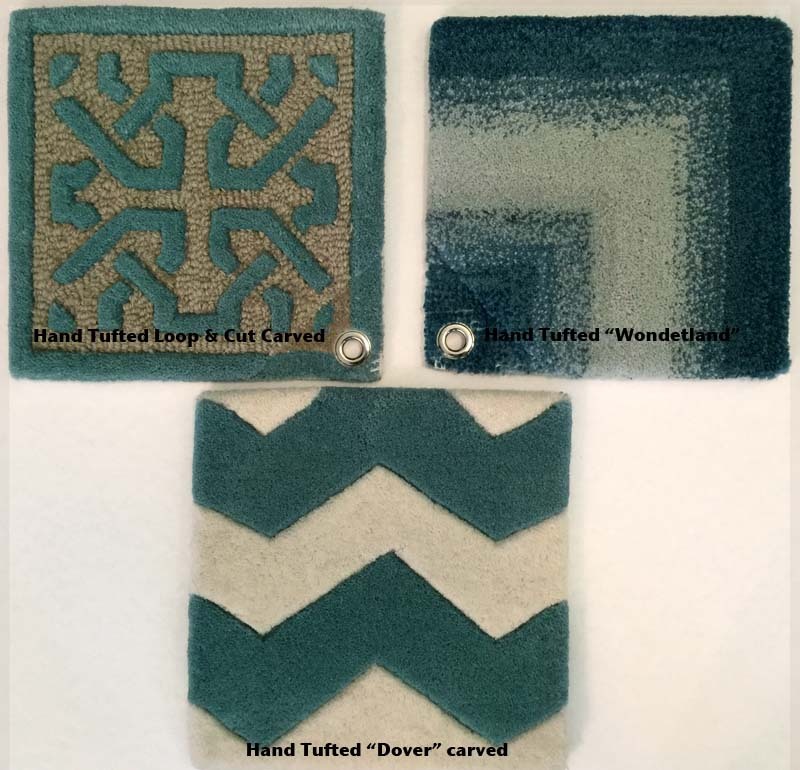 OVER-TIFTED: is American Tufted in cut or loop with a design over tufted on to the solid color field. These are 100% New Zealand Wool which are delivered within 6 weeks or less in any shape, or size. 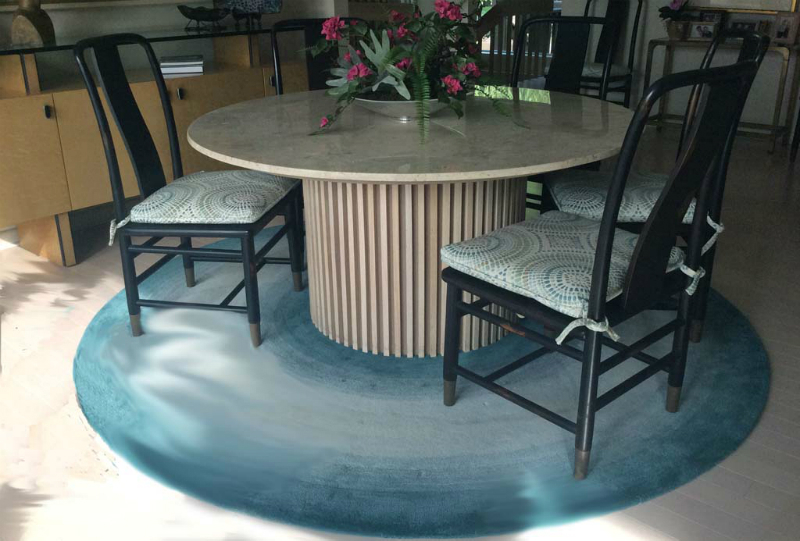 SOLUTION DYED RUGS This UV protected construction offers the durability necessary for the active lifestyle that includes kids & Pets. Choose one of the Made to Order designs for this category, or give us your design specifications. On our web site Customize & print your rendering. 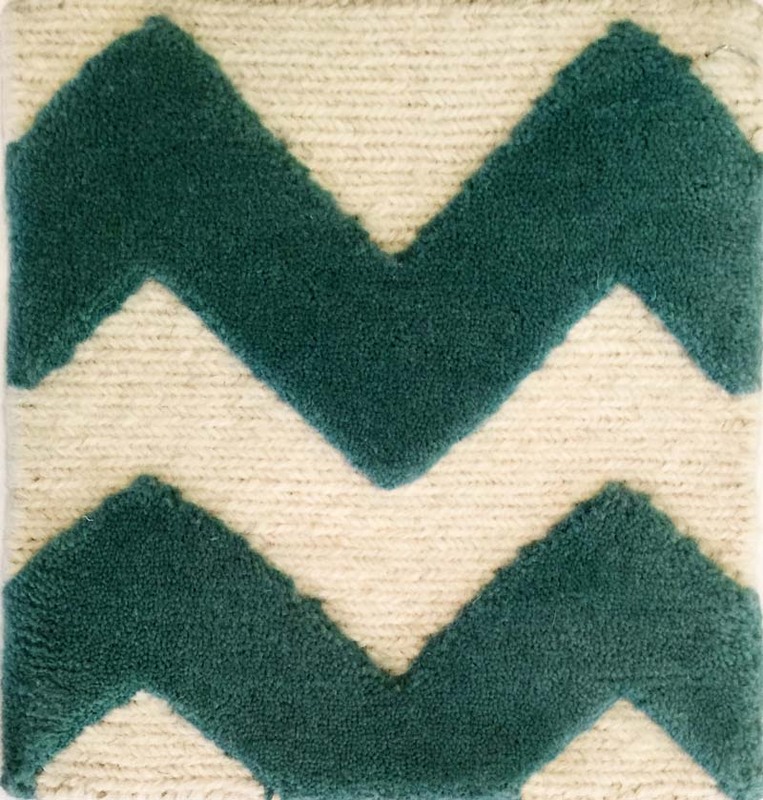 JOURNEY MADE RUGS are Delos Wool Rugs made just for you in India and China. 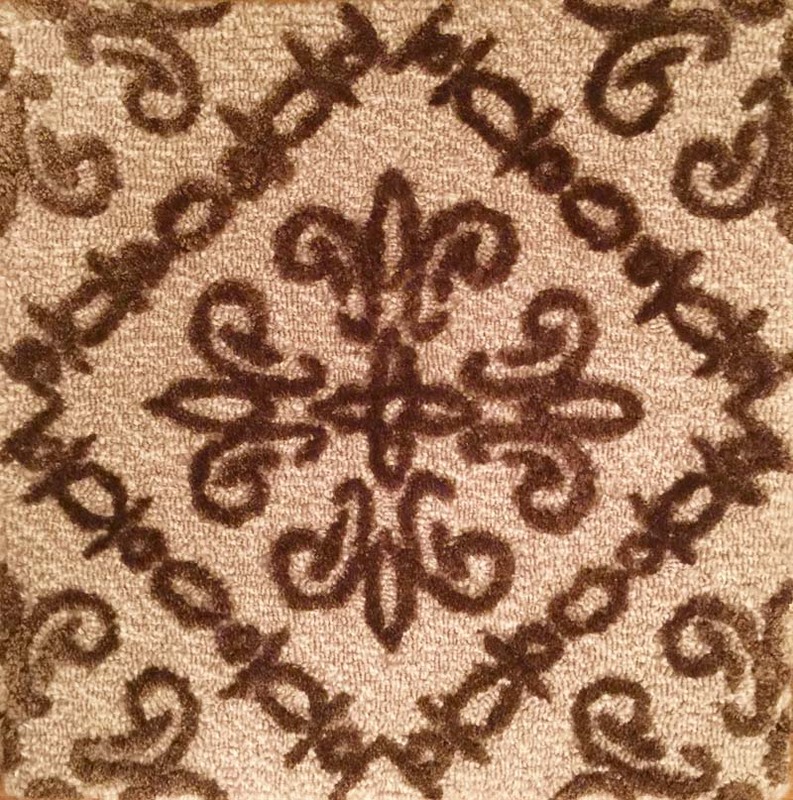 HAND TUFTED RUGS: These are our more intricate designs with options of hand carving, more unique textures, and spun bamboo or silk accents. 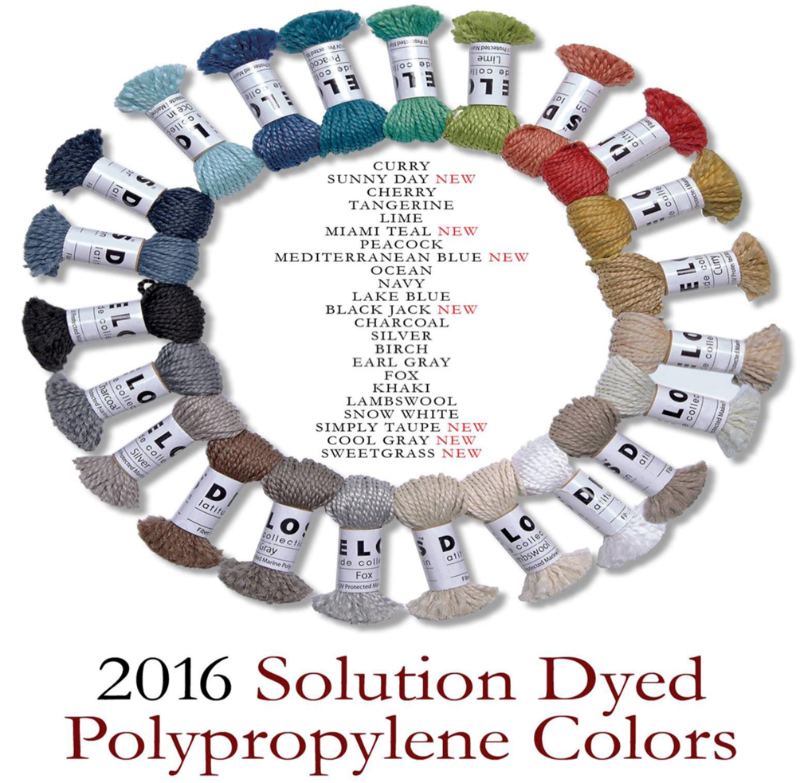 Choose colors from Delos’ wool 216 color pom Board. Select one of our Made to Order designs or your own custom design in any shape or size. Delivery 12 to 14 Weeks. 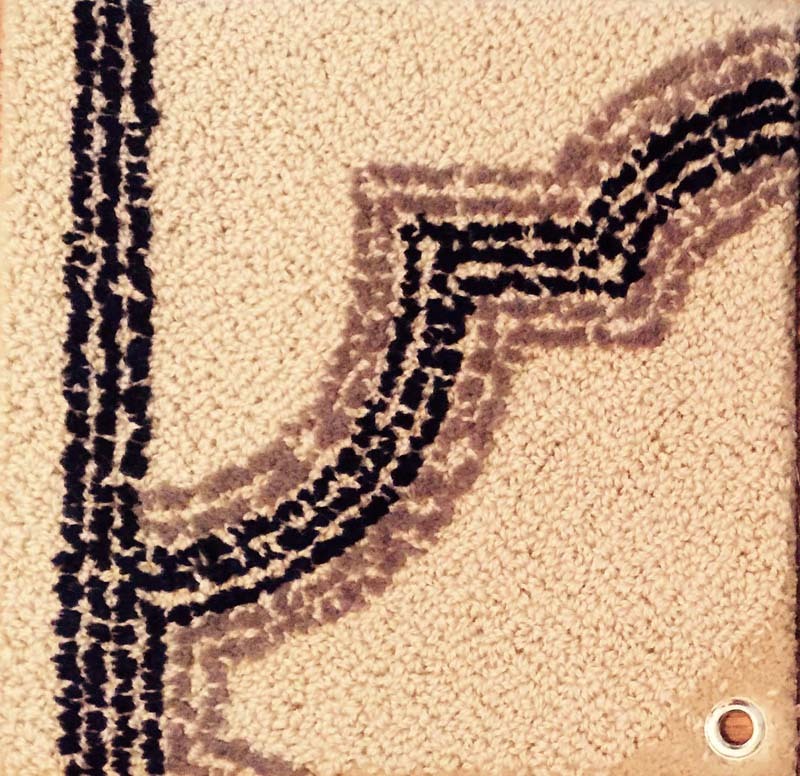 HAND KNOTTED RUGS are made of New Zealand Wool blend with spun bamboo or silk. Use Wool 216 Color Palette for any shape or size. 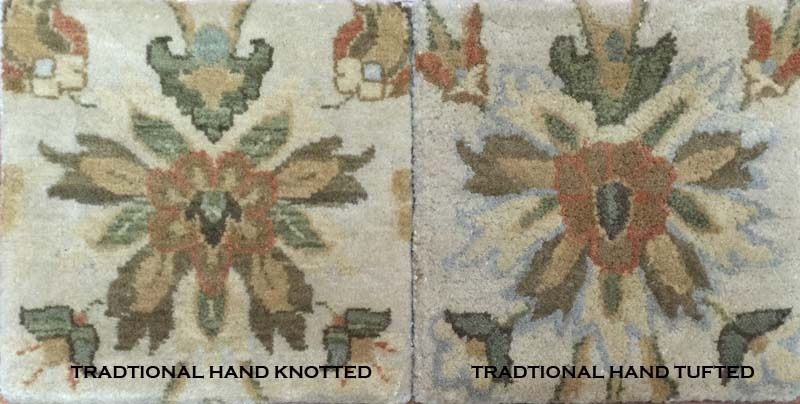 Traditional designs may be Hand Knotted or Hand Tufted. 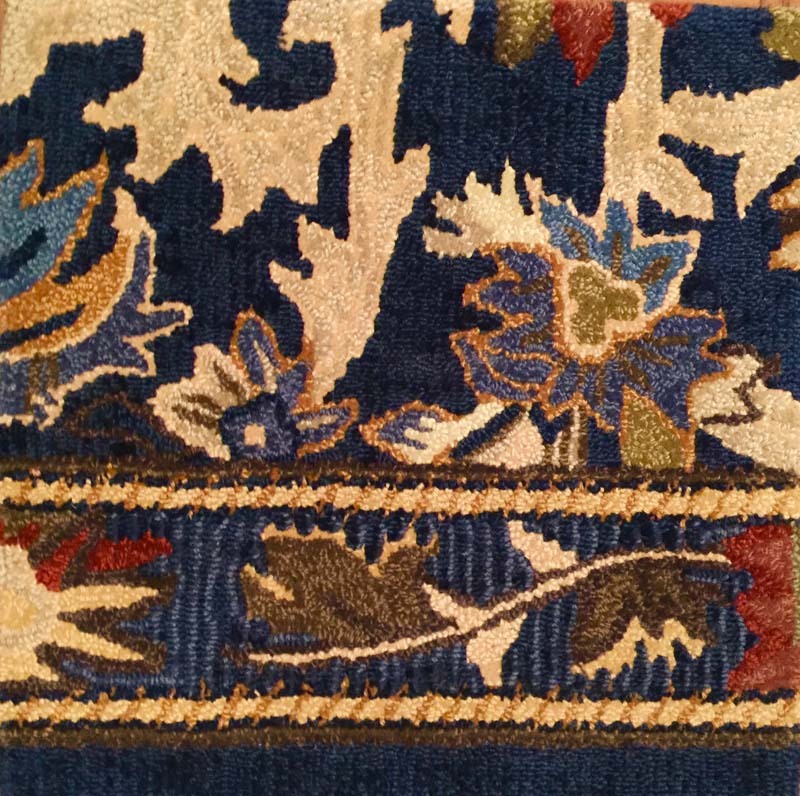 SOUMAKS are Indian Wool Blend double sided with or without cut pile accent. 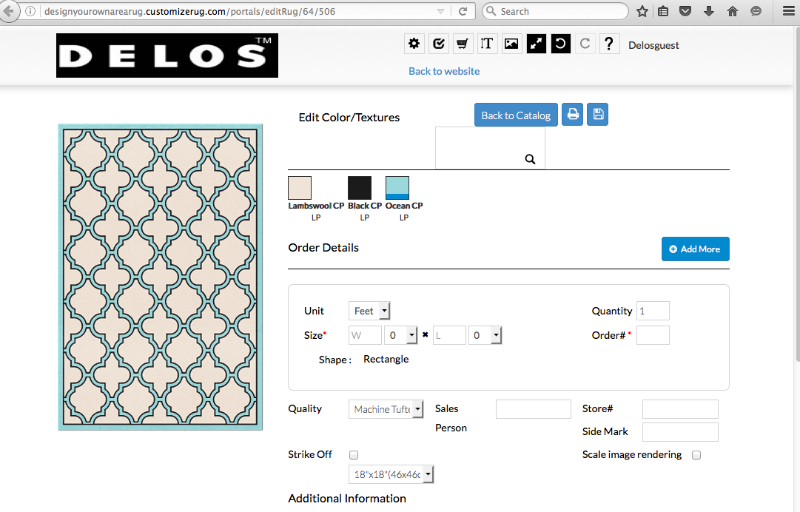 Use Delos’ Wool 216 Color Palette, and choose from Delos’ Made to Order designs or your custom design. 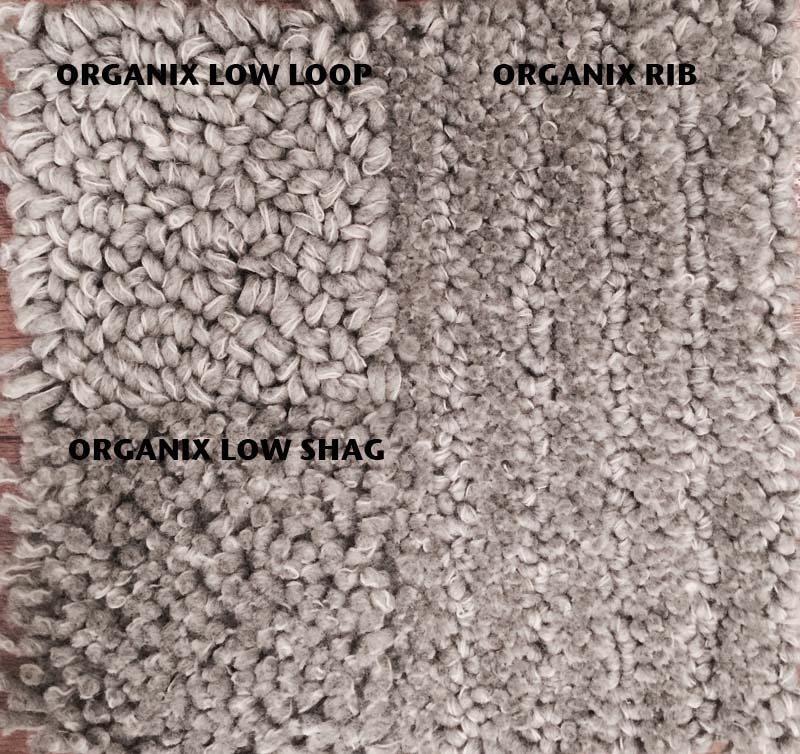 MICRO LOOP RUGS are New Zealand Wool Very tightly knotted which is perfect for Commercial or Hospitality. Choose Spun Bamboo or Silk accents. 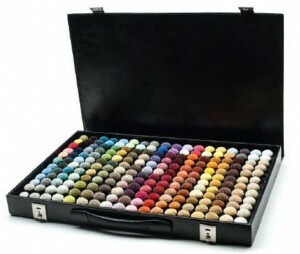 Use Delos’ Wool 216 Color Palette, and make your choice from Delos’ Made to Order designs or your custom design. Delivery: 14 to 16 weeks.